Reward charts for one behavior! These Behavior Charts work well when you want to focus on one behavior. 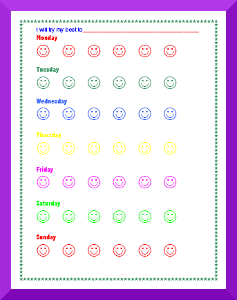 These printable behavior charts are great for younger kids. Young kids can become overwhelmed when working on too many behaviors at one time. Also, check out our Step Behavior Charts which also target one behavior!